Upon arrival at Jomo Kenyatta International Airport, you will be met and transferred by private vehicle to our partner hotel, Fairmont the Norfolk. The Norfolk is one of Kenya’s most famous hotels and one of its oldest. 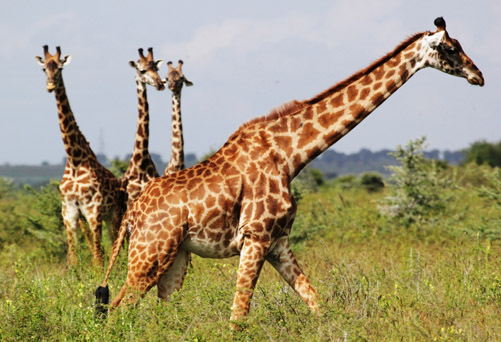 Set in mature gardens in the centre of the city, it has been a meeting place and first port of call for generations of travellers to East Africa’s spectacular game parks. Recently renovated, the Norfolk still retains its charm. 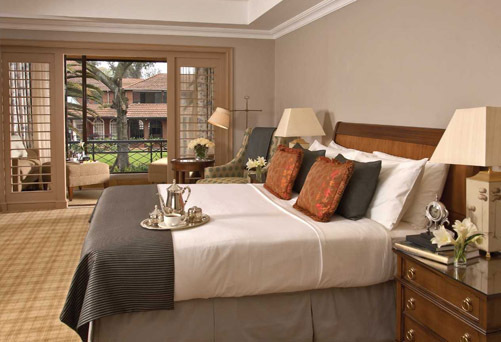 The hotel has 165 rooms set around a central garden area which, despite being in the centre of downtown Nairobi, has a wide variety of bird life. All the rooms have en-suite bathrooms and satellite television. After an early breakfast, transfer to Nairobi’s Wilson Airport for a scheduled flight to Samburu Game Reserve. On arrival in Samburu, you will be met by your driver guide and driven to our partner camp, Larsens Camp, with game viewing en-route. 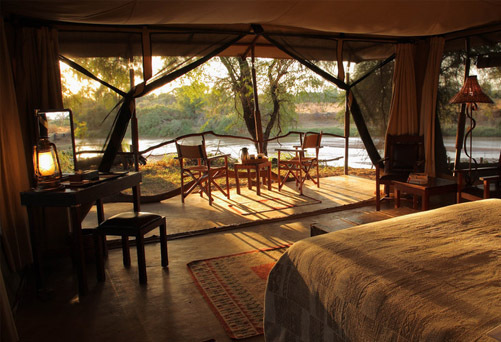 Larsens is a luxurious tented camp located on the banks of the Uaso Nyiro River with just 20 tents, all with en-suite bathrooms and a private veranda. Meals are served in the garden on the river bank or in the dining tent which overlooks the river. There is a pool, massage area and gift shop. 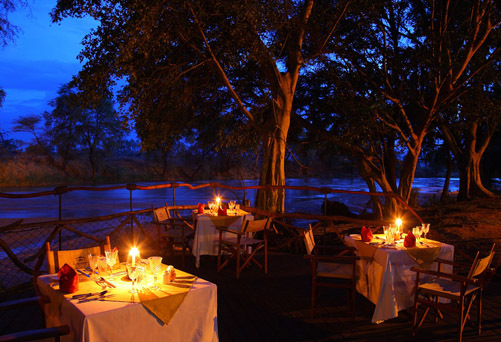 Elephant, buffalo, lion and leopard can all be seen around the river and the 400-plus species of birds are spectacular. Together with neighbouring Buffalo Springs and Shaba National reserves, Samburu comprises 833 square kilometres of protected semi-desert land. It is also the home of the Samburu tribe, cousins of the Maasai, who share the same nomadic, cattle-herding existence and even stricter adherence to their age-old rites and customs. This afternoon, venture out into the Reserve for a game viewing drive; ending with sundowners at a specially-chosen viewpoint before returning to camp for dinner. Today, spend the full day game viewing in the game reserve. Return to camp in time to freshen up before dinner. 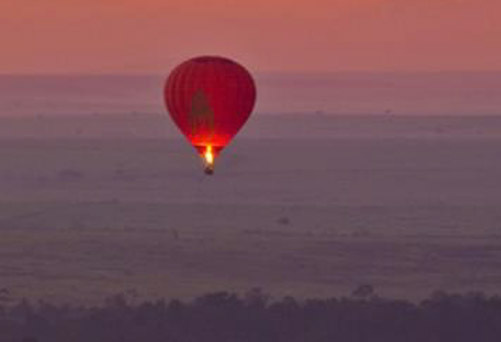 After a hearty breakfast, take a scheduled flight to the world-renowned Masai Mara for your stay at Sanctuary Olonana. Upon arrival at the airstrip, you will be met by a Sanctuary Olonana representative and transferred to camp. Driving time to camp is approximately 20 minutes with game viewing en-route. On arrival, relax and freshen up in your tent before lunch is served. The main dining room and veranda command a dramatic stretch of the Mara River, providing the perfect setting for breakfast, afternoon tea and after-dinner star gazing. In the afternoon there is time to relax before enjoying one of the many activities offered at Olonana. During your stay at Olonana, there are a variety of activities that can be booked on request. 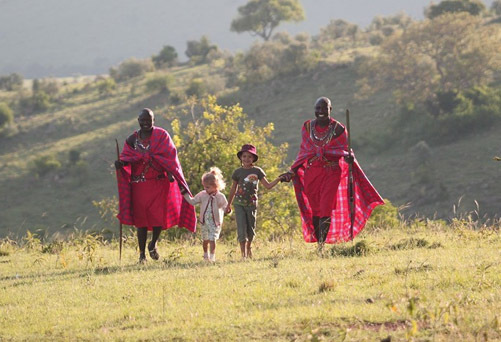 Take a game drive to experience the phenomenal wildlife or visit the adjacent Maasai village to learn about the local Maasai culture and get a feel for the Maasai heritage. As the afternoon activity comes to an end, drive to a specially-chosen vantage point overlooking the Mara plains. After breakfast at the camp, venture out and be led by our expert guides to explore the Mara. The Mara is a magnificent place for seeing big cats and all of the Big Five, a variety of plains game and over 300 bird species. The plains offer a rich variety of food for the dominant predators: lion, leopard, hyena and cheetah. You could walk with our naturalist and learn about plants, trees, insects and even how to approach animals on foot, as your guide shows you how to spot animal signs which are everywhere but not that easily noticed. Return to camp for lunch and then spend the afternoon at leisure. Relax by the pool or revitalise at our mini-spa – which offers a range of treatments from facials to body massages. Enjoy the delicious mid-afternoon high tea. Choose which activity you would like to do today. One possibility is a balloon safari. Float gently over the plains with a bird’s eye view of the game below as the sun rises slowly over the horizon. After around one hour, the balloon lands, and nearby, a full breakfast is served in the middle of the bush with glasses of bubbly to toast your flight! On your last evening drive out into the bush, where a private and secluded clearing has been prepared for an elegant dinner in the middle of the wilderness. The table setting is as elegant as found in the finest restaurants. Candles flicker in the darkness, throwing golden light onto the table, as smiling waiters serve an enjoyable dinner. After dinner, retire to the warmth of the campfire, where brandies and liqueurs are served, as guests relax and absorb the peace and beauty of an African night. 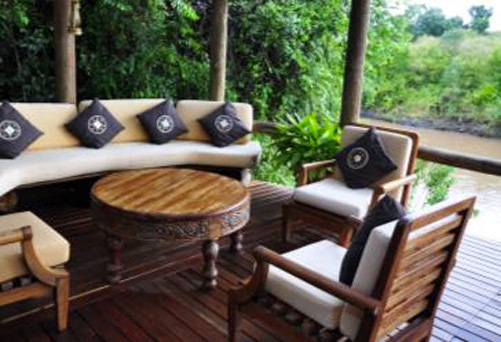 Spend your early morning game viewing in the Mara or just relaxing by the deck, after which your guide will transfer you to the airstrip for the flight to Nairobi’s Wilson Airport. On arrival, a Sanctuary Retreats representative will meet you and drive you the short distance to Nairobi’s Jomo Kenyatta International Airport for your departure flight.